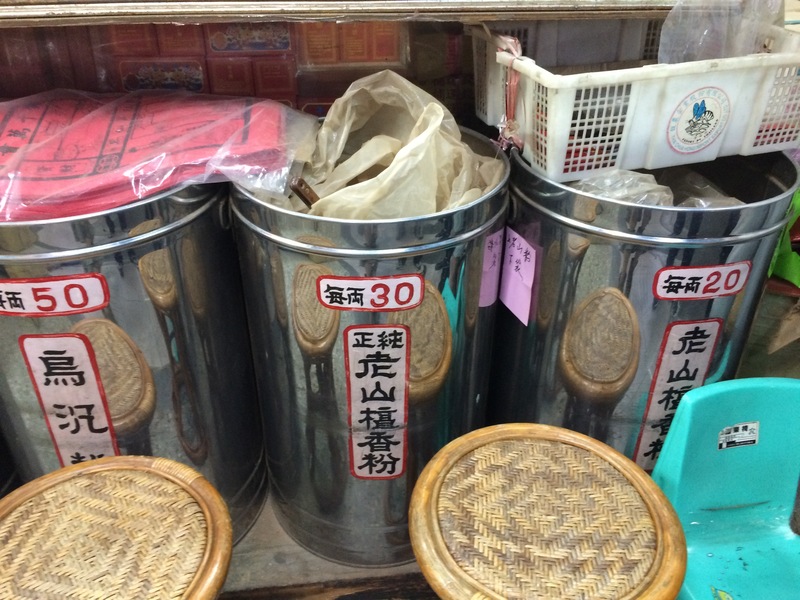 Upon looking for the real bamboo-made Joss paper, brought me to a very old traditional religion supplies shop in the old district of Taipei. 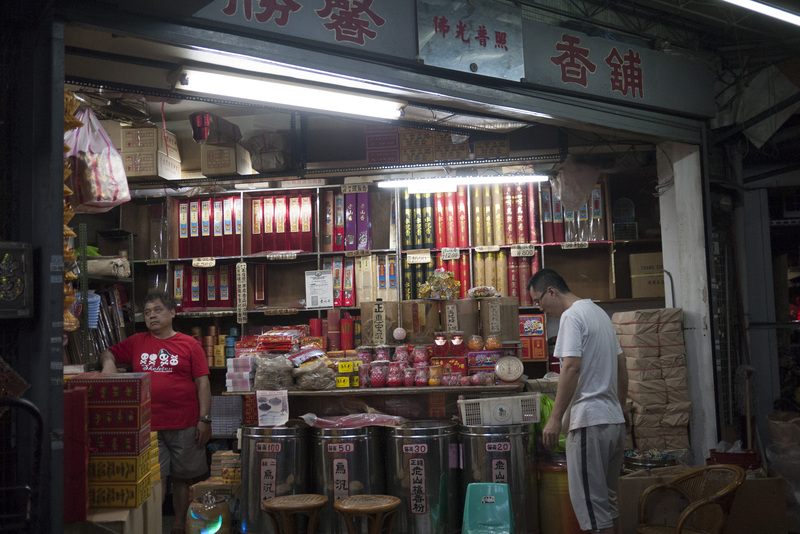 The shop not only sells Joss paper, but also incense powder. Although by growing up in the Asian culture incense is every familiar to me, it never occur to me that they are made from wood. They always feels as if originally being produced by some chemical reactions, sort of like the alchemist process. Only until I stepped into this shop and interviewed the shop owner do I know the incense are made from wood, and how it is graded. The incense are stored in huge metal pails. 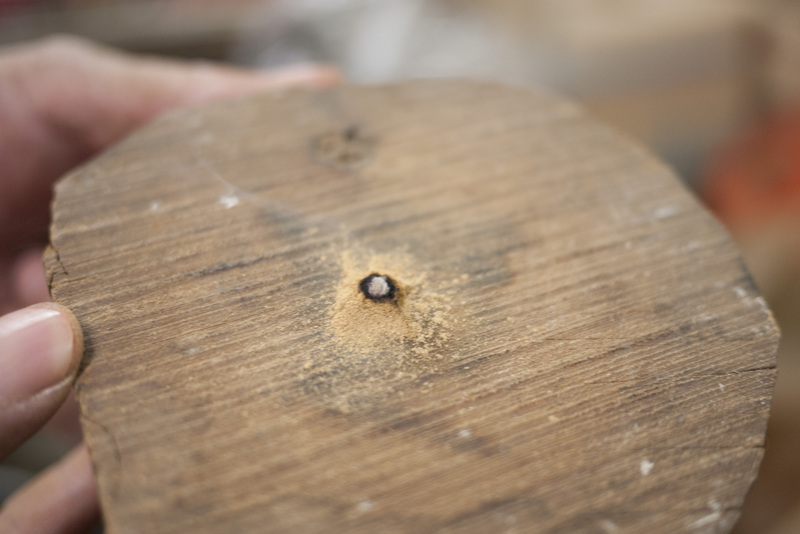 There are two major types: Sandalwood and Aloes wood. The grades are defers by its intensity and purity of the aroma. Sandalwood and Aloes wood have very different smell. Where Sandalwood is more acute, and Aloes wood is more soft and rich, light, but goes really far. Aloes wood is called “sinking wood” in Chinese, because its density is actually higher than water that it sinks in water. Historically it has been a major spice traded between countries, and it’s major export countries are Malaysia, Indonesia and India. 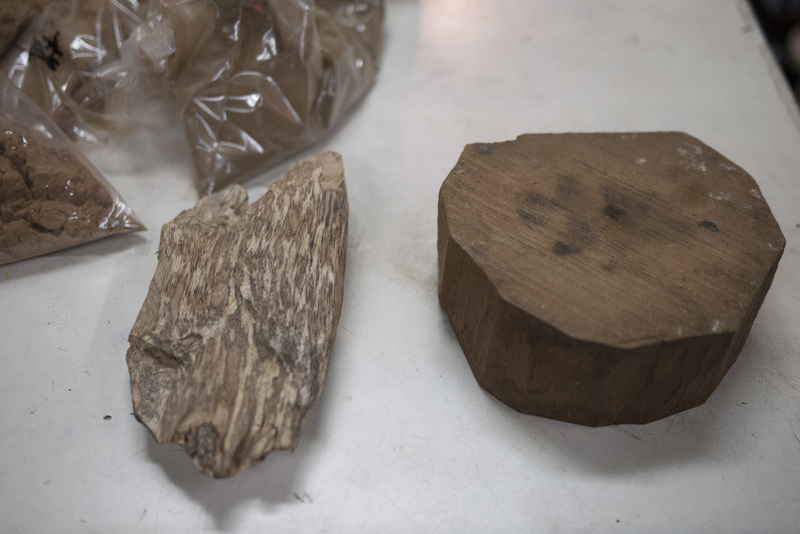 The aroma of Aloes wood (left) comes from the white “oil” within the tree. The higher percentage of oil, the stronger the aroma when burnt. The piece in the image is about 10 cm long, 4 cm thick, and costs about 50 euros. The right hand side is the sandalwood. The woods are grind into powder form and burnt using metal containers in common buddhism rituals. It is believed that this aroma can create a “clean” space, away from the harmful spirits. Analysing the incense, it is basically pure sawdust. However when burning, the aroma spread to at least 200 meters outside of the house, which is really astonishing.